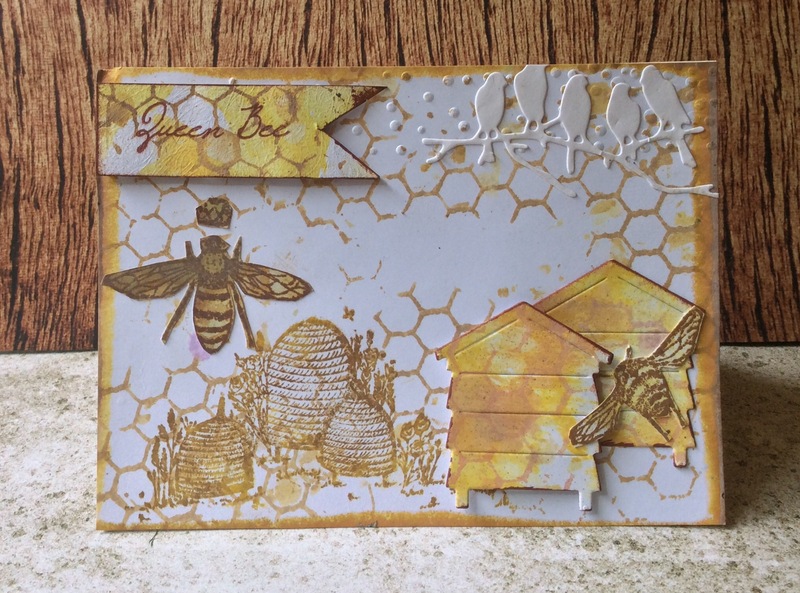 This card is a combination of Distress Oxide Inks (used with a honeycomb stencil) and unbranded die cuts for the hives and birds on a wire. The rest is made up from Craft Consortium Tell it to the Bees stamp range. I love the colours. Hope you like it too! I must say, its one of my faves too! Super cute, Denise, it’s bee-utiful!! !